A long-awaited paper has finally been published in another outlet. Originally submitted to the Naturalis museum journal Zoologische Mededelingen, my paper on snails in visual arts has now appeared in Basteria, the scientific journal of the Netherlands Malacological Society. 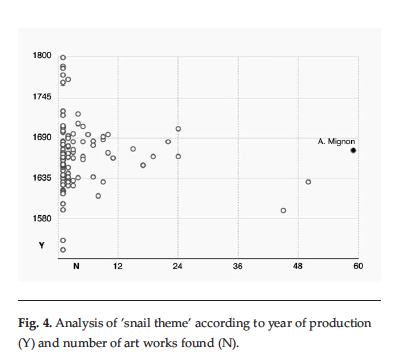 The paper summarizes the results on my last year’s project to take a look on snails in art. The link to the full paper can be found on my publications page. This entry was posted in Uncategorized on December 29, 2015 by bramb.